The Toyota Innova breaks away for a moment from its traditional bakkie and commuter car market to create a big commuter vehicle. Toyota already has a commuter vehicle, the Avanza but in all honesty, it’s not quite big enough. Despite it saying ‘seats seven’ on the tin, it is a little cramped if the seven people are big, burly rugby players. Enter the Toyota Innova, a bigger, more-purposeful MPV based on the Hilux. 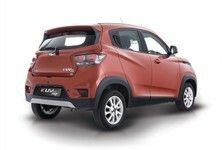 It’s assembled in Indonesia and has done well in that market. 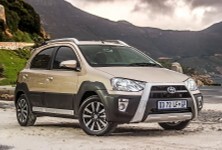 South Africa though is a little more discerning and the Toyota Innova falls a little short in the visual design stakes. It’s not horrifically ugly nor is it cutting edge. It’s distinctly…average. Nevertheless, this vehicle is not about looks as it is being marketed purely as a people commuter. In this role, it does well. The interior screams practicality galore. 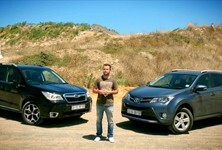 There are two versions available – one with eight seats that I had and the seven-seater which is a little more luxurious. There’s plenty of space everywhere and despite some members of my family calling it a bus, it feels more upmarket than that. It comes with a decent amount of standard kit too. There’s a touchscreen radio with CD/mp3/iPod compatibility, Bluetooth connectivity, dual-zone climate control as well as electric windows. If you’ve driven a top-spec Toyota Hilux or a Fortuner, you will feel right at home. The Innova’s best feature has to be the seating arrangement. Behind the driver and passenger seats are two individual seats in the seven-seater (the eight-seater has a bench) and these seats can be folded completely flat. The third row of seats fold sideways and the result is a Toyota Innova van with tons of storage space. These seats are all comfortable and feature proper seatbelt harnesses. Powering the Toyota Innova is the tried-and-tested 2.7-litre engine from the Hilux. It’s not as powerful as it sounds and boasts a power output of just 118kW while torque is rated at 241Nm. This vehicle is begging for a diesel which will help keep the fuel bills down. Thanks to a combination of an older engine and its weight, the Innova is quite a thirsty vehicle. I tried my best but I couldn’t get the needle to dip below the 11L/100km mark. Another downside is that you do need to give the engine a healthy dose of revving to actually get anywhere, which further adds to the economy woes. It’s alright to drive and with the handling and balance being positive. It’s rear-wheel drive too, a fact that I discovered on a damp sharp-right handed road one morning in town. The problem with the Innova is that we’re in 2012 and this vehicle feels a little dated. Despite this, it is extremely well-priced and for your R257,200 you’re getting a spacious, comfortable and practical seven-seat vehicle. 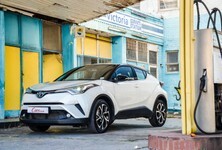 Being a Toyota, the reliability and resale will be impeccable and there are already a few tour operators in the Cape that have Innovas in their fleets. While it may not appeal to your heart, the Toyota Innova should definitely make sense in your head. If you want something that has a bit more personality, emotion and soul, then best you get a Toyota Fortuner which has the added benefit of being able to go off-roading. 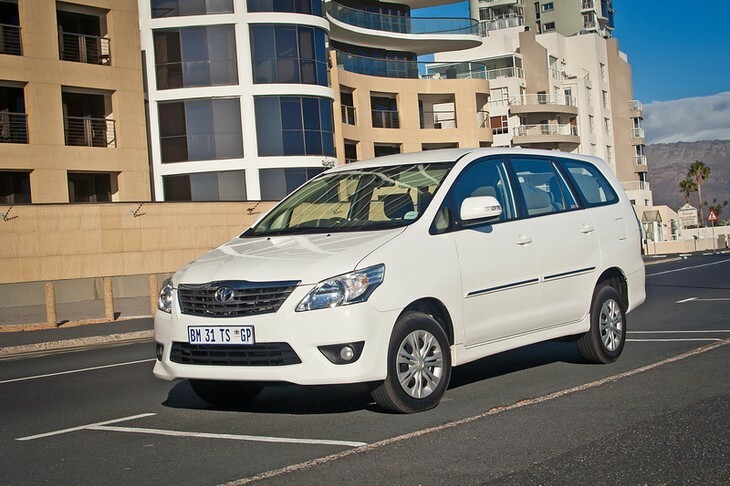 The Toyota Innova 2.7 8-seater retails for R268 000.